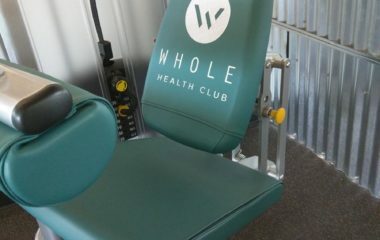 The waiting room is the first thing your clients and customers see. 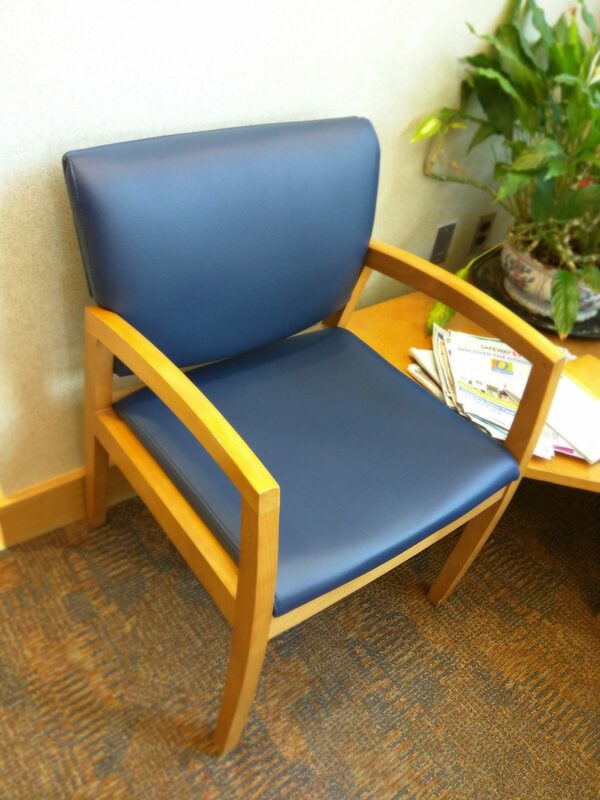 After years of hard use even the best lobby chair can show wear. The foam flattens. The material fades and stains stand out. The vinyl cracks, or the fabric tears. At Advantage, we understand and treat every job with the concerted effort it deserves. 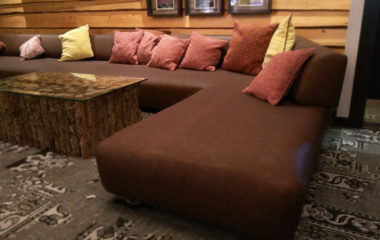 We can provide designer fabrics, a wide array of vinyls, or you can select and purchase the material yourself. New nylon dacron can be added to bolster the seats, replacement foam, or if your chairs don’t need either, we can just recover them. 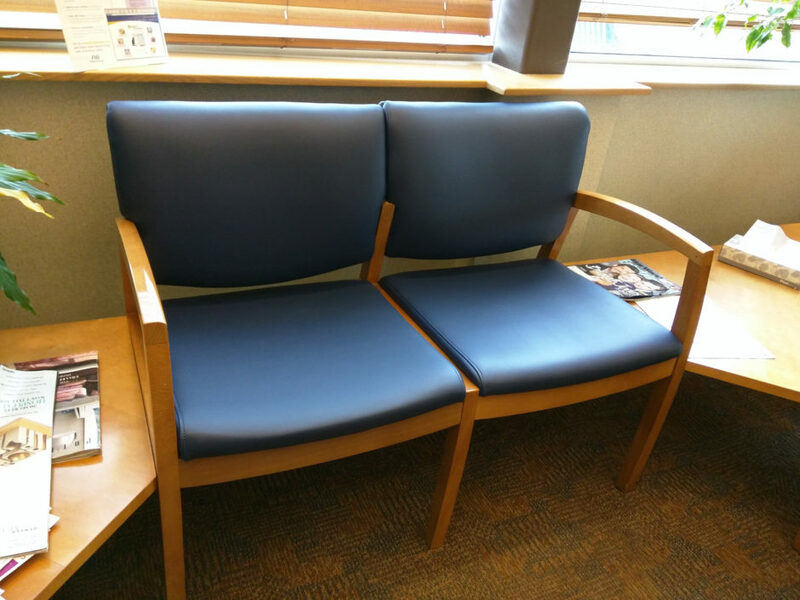 Your enthusiastic satisfaction is our goal, so with each lobby chair we reupholster we ensure that your waiting room reflects your service, with clean and crisp professionalism. Denver Endoscopy Center contacted us for an estimate. Within a week we visited their office, and while there we measured each lobby chair. 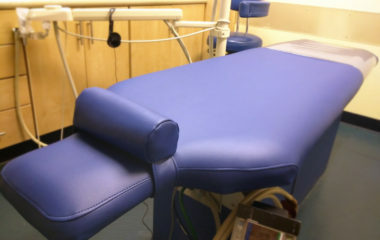 As we finished, the office manager expressed interest in using vinyl to recover the seats, so we provided an Olympus sample card. Within 48 hours an estimate had been sent. Then they approved the work and selected the color Majestic to be used. We agreed on a set of days that would work best for their schedule. The day of service we arrived before patients and took a minimum of seats out at a time to be recovered. Some of the chair frames did have sit outside due to their size. However, the seat and back cushions were all recovered inside our truck-shop. 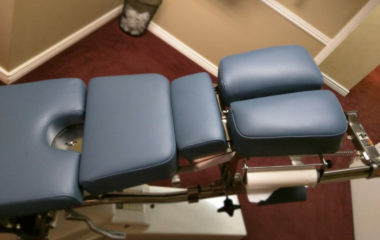 Finally, over the course of a few days working diligently, and quietly around their patients, the reupholstery of each lobby chair was completed.